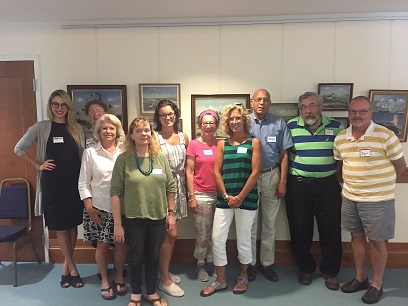 10 new volunteers successfully completed our most recent training workshop held July 10, 12 and 16. Some of them are already working with students, others will be assigned soon. Please contact Olivia Miller at 508-862-1305 or email volunteer@capecodliteracycouncil.org if you are interested in attending a future training session. And feel free to contact us if you have any questions. Looking forward to seeing you!